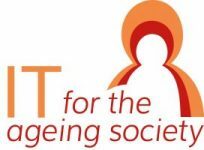 The group „IT for the ageing society͞ at the department of infomation systems at the University of Siegen follows a socio-technical research approach in co-design oftechnologies for older adults. The group is partner in the Praxslabs initative which employs practice-based and participatory design methodologies in order to research into and design technologies that meet real user needs and contribute to the wellbeing of older adults in their every-day environments. Past and current projects aim at the support and enhancement of social inclusion, mobility and autonomy of elderly people in order to strengthen quality of life and health status in higher age. In all IT-design projects the group follows an approach of social and experience-based learning as a fundament for the development of skills and competences, but also for fostering a positive attitude towards new technologies in groups of elderly collaborators which builds the basis for participatory design processes. 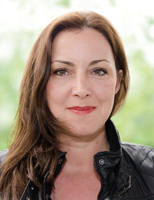 Claudia Müller is a member of the working group "Alter & Technik" (Age & Technology) of the German Society of Gerontology and Geriatrics e.V. and a speaker of the Interdisciplinary Gerontological Research Network (GeNeSi) of the Research Center "FoKos" at University of Siegen (https://www.uni-siegen.de/fokos/). The research group “IT for an aging society” is concerned with the practice-based and participatory design of assistive technologies for older people. In various projects, the approach of social and experience-based learning in relation to the acquisition and development of skills and competences in regard to new technologies of older people is being researched. In order to achieve a meaningful IT design, it is important that technologies and applications are well adapted to the everyday worlds of the users. The research group combines multiple research aspects, such as the application of qualitative empirical research methods and the application of participatory design approaches. Another important aspect is to involve the relevant stakeholder groups such as legislators, industry, trade, user and transfer organisations in this process.